You could watch amazing athletes like April Ross (left) and Jennifer Kessy (right) play! Who would say no to that? Exciting things are happening out at Long Beach, CA right now! 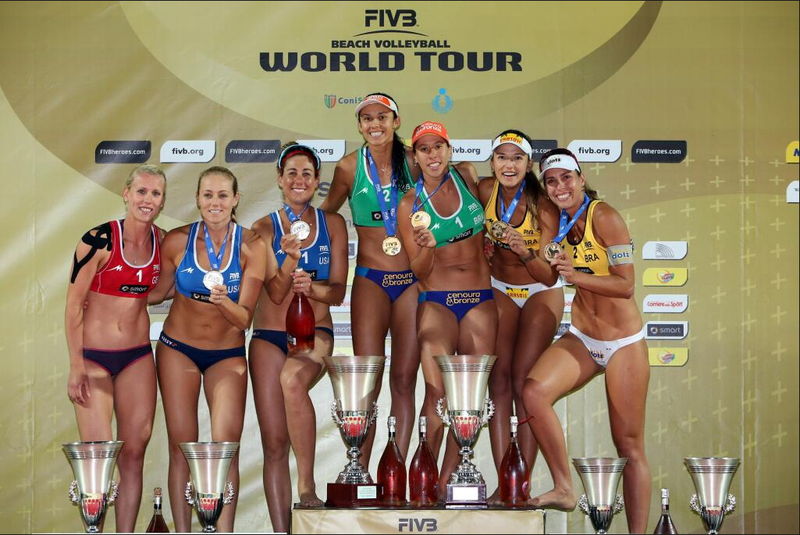 If you didn’t already know, an FIVB Grand Slam Tournament is being ran in the USA for the first time since 2003. It’s an exciting and rare chance to see the greatest international volleyball players in the world play right here on American soil. Qualification rounds finished yesterday with the main event beginning today. So, if you’re in the area, go watch amazing athletes play an amazing sport! Here’s a link to the schedule. 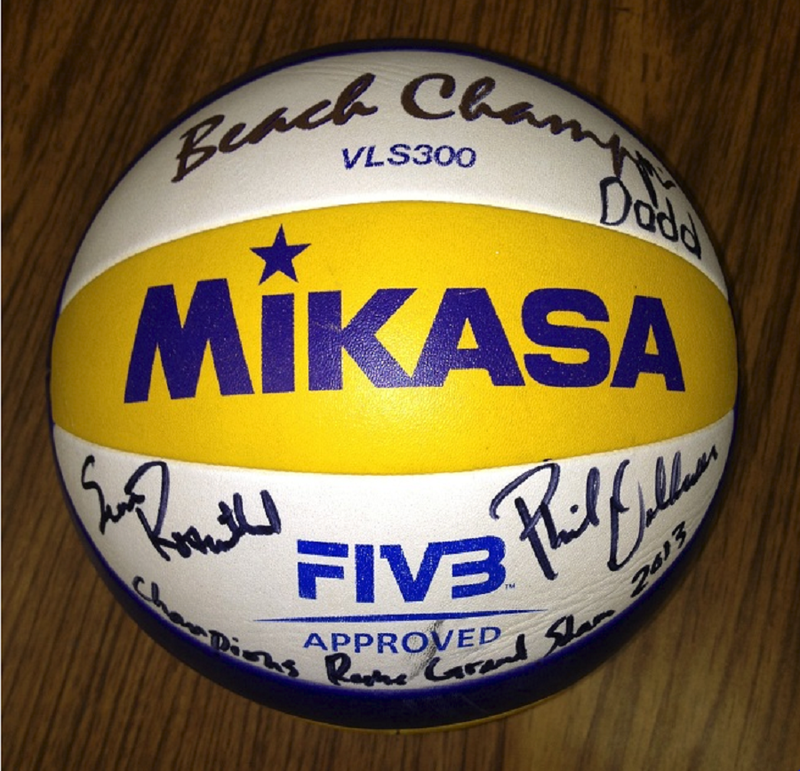 We’re giving away a signed volleyball by US Olympians Phil Dalhausser, Sean Rosenthal, and their hall of fame coach, Mike Dodd. Head over to our Facebook page and check it out! When in Rome, spike it in their face. Exciting opportunity to win some prizes over on our Facebook page! If we get to 150 page likes, we’ll give away a volleyball signed by U.S. Olympians Phil Dalhausser, the #1 player in the world, his partner Sean Rosenthal, and their Hall of Fame coach, Mike Dodd. Seriously, what do you have to lose? Head over and enter for your chance to win!